Making polymer films often involves hazardous chemicals. It depends on the facilities and regulations whether these experiments can be carried out. All steps in this procedure are to be completed under the fume hood. Polyvinyl chloride (PVC) is a cheap and durable plastic that is often used in pipes, signs and clothing. Plasticisers are often added to PVC to make it more flexible and easier to manipulate. This activity details how to make a film of PVC from powder PVC with and without a plasticiser. Students can then compare both the physical and chemical properties of each sample. Using a hotplate and a magnetic stirrer, heat 20mLs of the solvent. Weigh out 1.5g of the polyvinyl chloride powder and add it slowly to the heated solvent. After 10 minutes the solution will become more viscous, at which point the beaker should be removed from the heat. Remove the magnetic stirrer and spread the PVC as thinly and as evenly as possible over a glass slide/clockglass/inside or outside a beaker. It is important here to spread the polymer thinly by moving the glass substrate while the solution is still hot. Leave the PVC in the fume hood to allow the THF to evaporate off (takes about 15 mins). The PVC film can then be removed easily from the glass substrate. A number of samples of PVC can be made by repeating the steps above, each time adding different volumes of the plasticiser, di-butyl sebacate to the heated solvent. Follow the remaining steps as above and pour the solution onto the glass substrate trying to get as good a spread as possible. The PVC samples prepared can then be used in Activity 2.6. What affect did the plasticiser have on the plastic? 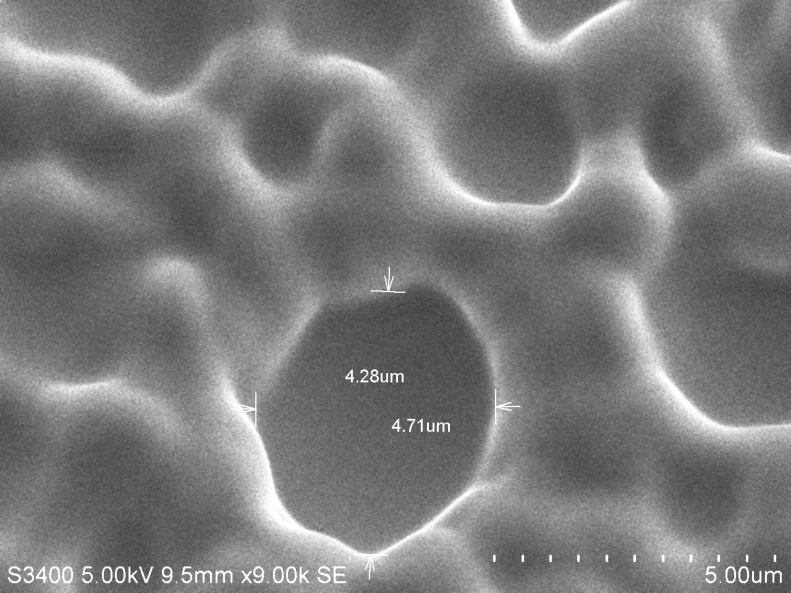 (C)SEM images of PVC with 2ml plasticiser displaying clear holes. 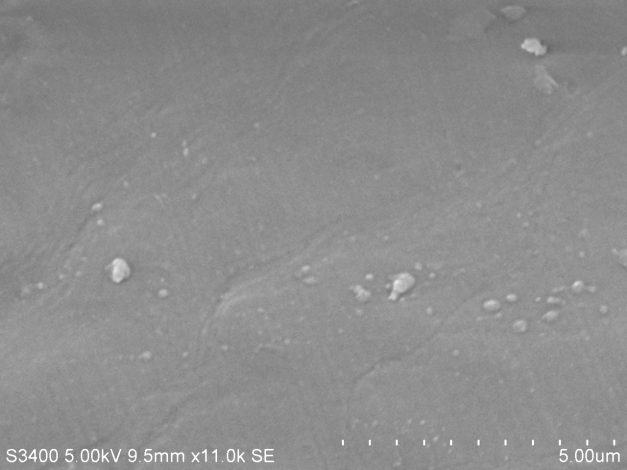 The following are SEM images of PVC films prepared as above with different quantities of plasticizer. 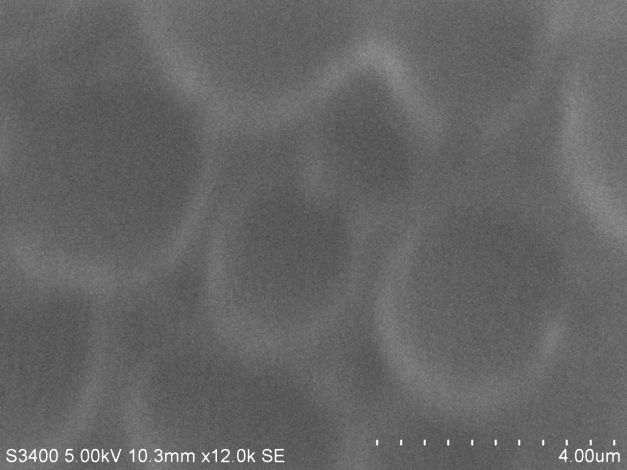 Holes are clearly visible in sample C.